Can technology untie Brexit knot at Irish border where wifi doesn't work? 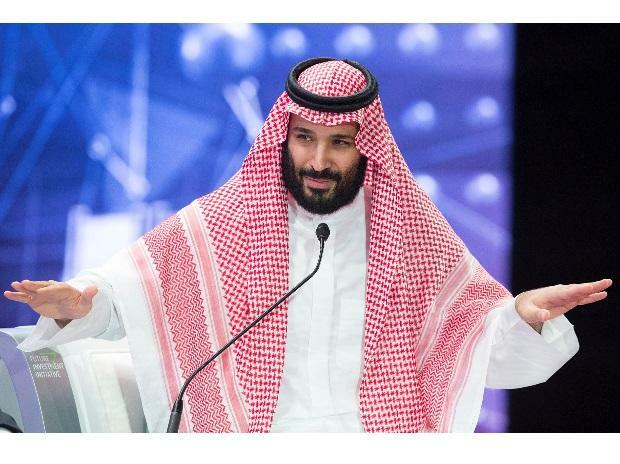 Saudi Arabia's Crown Prince Mohammed bin Salman is due to arrive in Pakistan on Sunday at the start of his tour of South Asia and China, but the visit risks being overshadowed by escalating tensions between nuclear-armed rivals India and Pakistan. Analyst say the crown prince's trip is being treated by Islamabad as the biggest state visit since Chinese President Xi Jinping in 2015, soon after Beijing announced plans to invest tens of billions of dollars on infrastructure in Pakistan as part of China's global Belt and Road initiative. The visit marks a deepening in ties between allies whose relationship has in the past centred on oil-rich Saudi Arabia backing Pakistan's economy during difficult periods, and in return Pakistan's powerful army lending support to Saudi Arabia and its royal family. Pakistan is shutting down its airspace and has stepped up security in Islamabad for the crown prince, who is set to become the first guest to stay at the Prime Minister's House. Pakistan's new populist premier, Imran Khan, has refused to use the residence in a bid to save taxpayers' money. Pakistani hopes for further investment opportunities from Saudi Arabia were dealt a blow on Saturday when the government announced that the Pak-Saudi Business Conference had been "postponed". But the crown prince's arrival comes amid a vow by India to isolate Pakistan internationally following the deadliest attack in Kashmir in decades. In Islamabad, the crown prince is expected to meet Khan and Pakistan's army chief, Qamar Javed Bajwa. He is also likely to meet representatives of the Afghan Taliban militant group to discuss peace negotiations to end the 17-year civil war in Afghanistan, Pakistani government sources say.